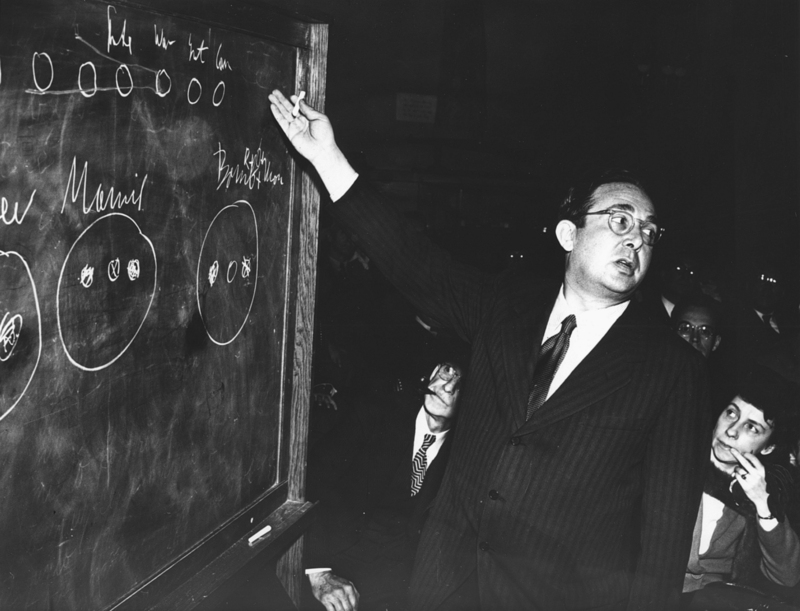 Leo Szilard (1898-1964) was a Hungarian-American physicist and inventor. He developed the idea of the nuclear chain reaction in 1933. He was instrumental in the beginning of the Manhattan Project, writing the letter for Albert Einstein’s signature encouraging the US to begin building the atomic bomb. 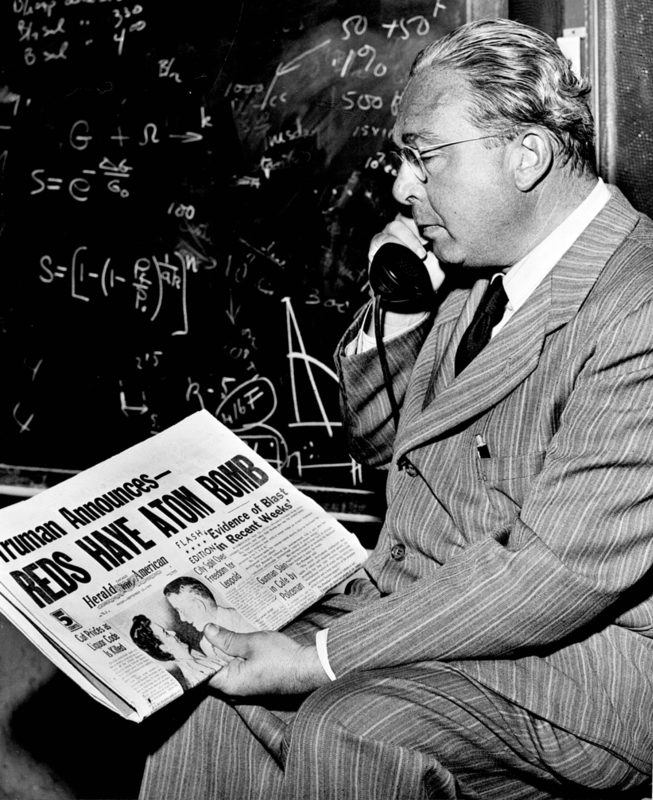 He was also chief physicist at the Chicago Met Lab from 1942 to 1946. Szilard helped build Chicago Pile-1, the first neutronic reactor to achieve a self-sustaining nuclear chain reaction. Szilard patented creating a neutron-based chain reaction in 1934 - although, as historian Alex Wellerstein explains, his ideas in the patent had some problems scientifically and would prove to be wrong in parts. In 1955, Szilard and Enrico Fermi jointly received the patent for a neutronic reactor. He publicly stated his opposition to using the bomb in war, though he wanted to develop weapons before Nazi Germany. He attempted to avert the use of the bomb against Japan in a petition meant to go to President Truman, though it never reached him. After World War II, Szilard shifted gears from physics to molecular biology and helped to found the Salk Institute for Biological Studies. He continued his political activism, calling for international arms control, peaceful uses of nuclear energy, and improved U. S.-Soviet relations. He founded the Council for a Livable World, warning of the threat of nuclear war. He applied for many patents, including one for the linear accelerator and cyclotron, and came up with many important scientific concepts, including the nuclear chain reaction and key ideas in thermodynamics. Always a visionary, Szilard, sacrificing many years of his career and having no permanent post for himself, worked tirelessly to find suitable positions for many of the other scientists fleeing Germany. Often working by himself, at the detriment of his own safety and career, Szilard was responsible for numerous colleagues being offered positions. He organized several groups and worked with the Academic Assistance Council, a London-based group headed by Ernest Rutherford that helped refugee scientists and scholars. 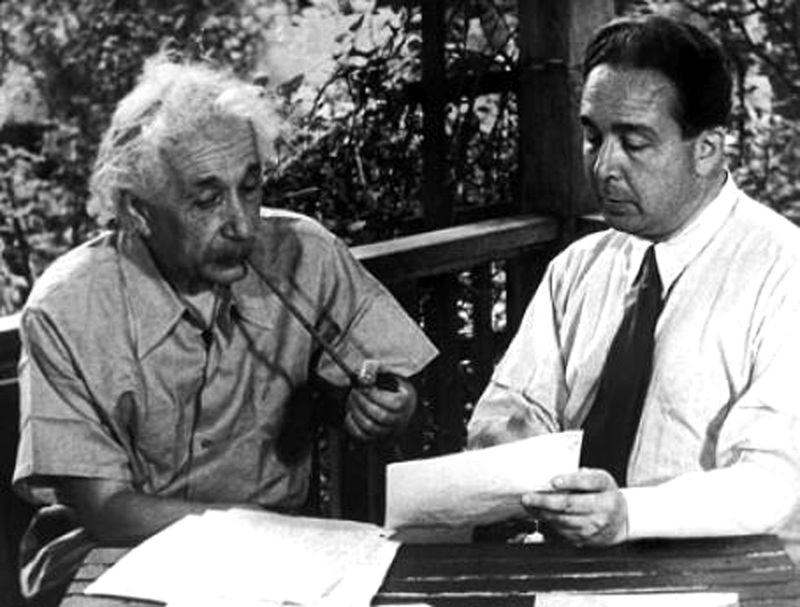 For more information about Szilard, check out William Lanouette's biography "Genius in the Shadows: A Biography of Leo Szilard, the Man Behind the Bomb" or watch an interview with Lanouette on "Voices of the Manhattan Project." 1898 Feb 11th Born in Budapest, Austria-Hungary. 1923 Received his Ph.D. from the Humboldt University of Berlin. 1929 Applied for a patent for a cyclotron.